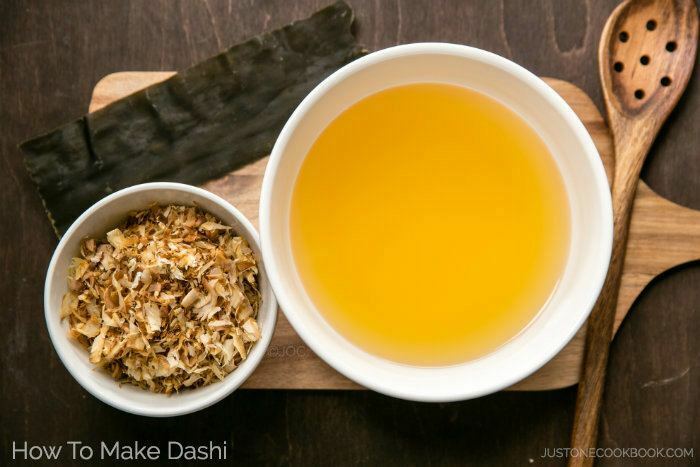 What is Dashi & How to Make It? Dashi is a Japanese stock, and it is a fundamental ingredient in many Japanese dishes. Dashi can be made from kombu (dried kelp), katsuobushi (dried and smoked bonito/skipjack tuna that is shaved into thin flakes), iriko or niboshi (anchovies/sardine), or a combination of all or two of them. All the dried ingredients that are used to make dashi are rich in naturally occurring glutamates and provide intense flavor to the stock. Dashi creates a savory umami flavor from all these ingredients and you don’t need to season the food much if you have good dashi. 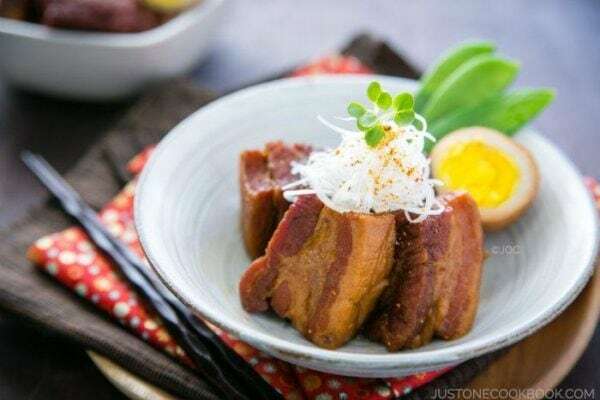 Dashi is used in many Japanese dishes, such as miso soup, noodle soup, donburi (rice bowl), chawanmushi (savory egg custard), simmered dishes like Nikujaga and more. 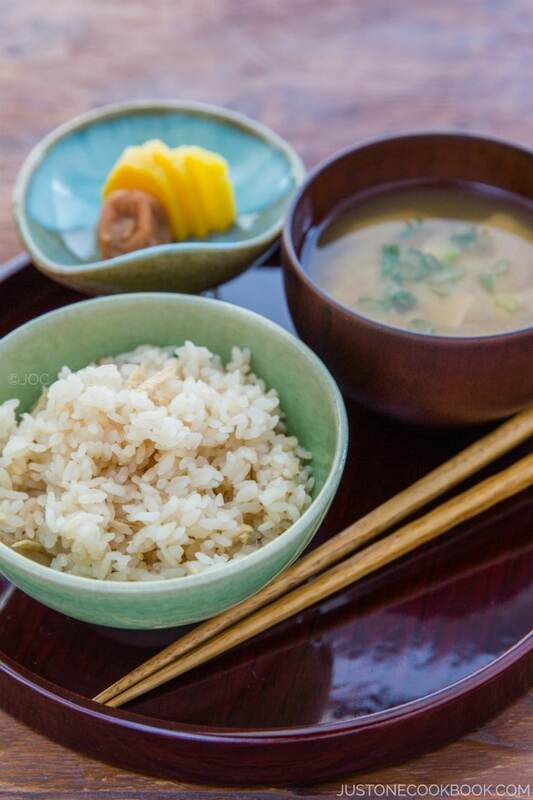 Without dashi in Japanese cooking, it lacks authenticity. A lot of people think dashi is made of fish, so vegetarians and vegans can’t use dashi. No, that’s not true. There are several types of dashi and I’ll introduce them here. How do we decide which kind of dashi to use for a particular dish? Well, there is no rule. Each household may have a preference, but I added some examples of dishes that go well with each type of dashi. 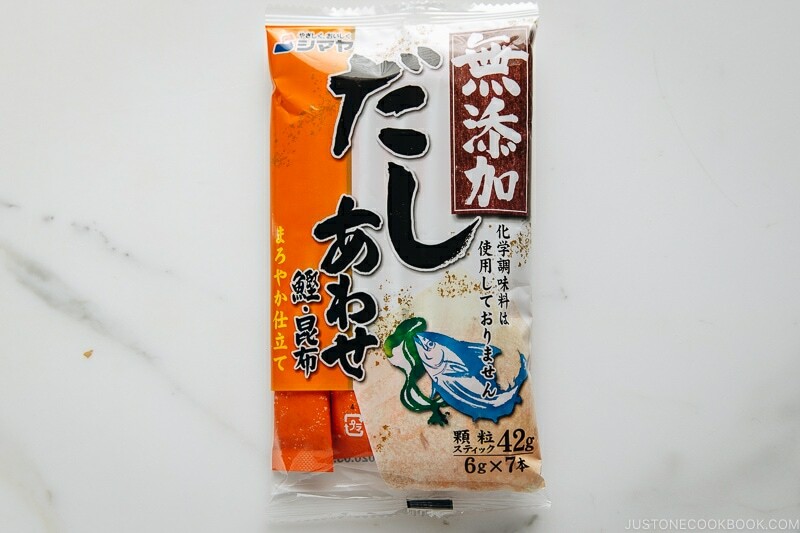 The most common seafood based stock made from a combination of kombu and bonito flakes. 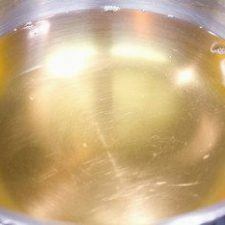 A basic all-purpose stock that goes well with most of the cooking and I use this dashi for 80% of my cooking. 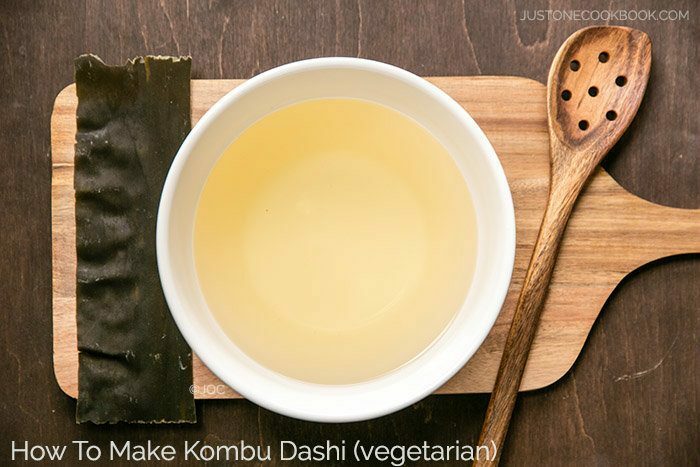 When recipes call for “dashi”, use this dashi (vegetarian/vegan, check Kombu dashi). Awase means “combination” in Japanese. 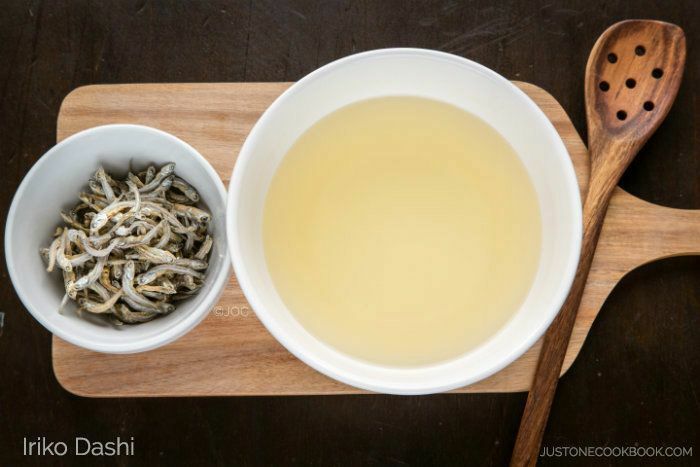 RECIPE: To make it from scratch, check out How To Make (Awase) Dashi. The vegetarian/vegan stock made from kombu (kelp). Gentle flavor. I use kombu dashi when the flavor of other ingredients are subtle. Also, when the main ingredient is fish or seafood, I usually use kombu dashi because bonito flakes may overpower the flavor of the seafood. It’s probably the easiest dashi to make. 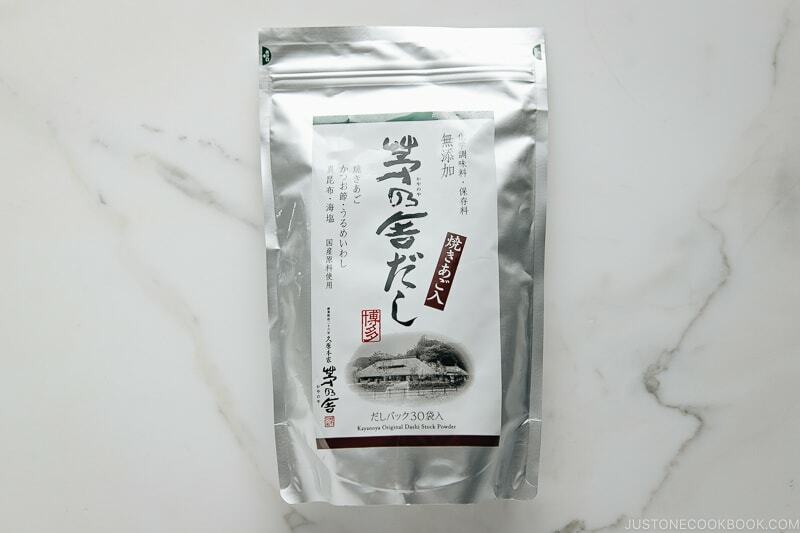 RECIPE: To make it from scratch, check out How To Make Kombu Dashi. The seafood based stock made from dried baby anchovies/sardines. Strong fishy aroma, but less fishy in flavor. 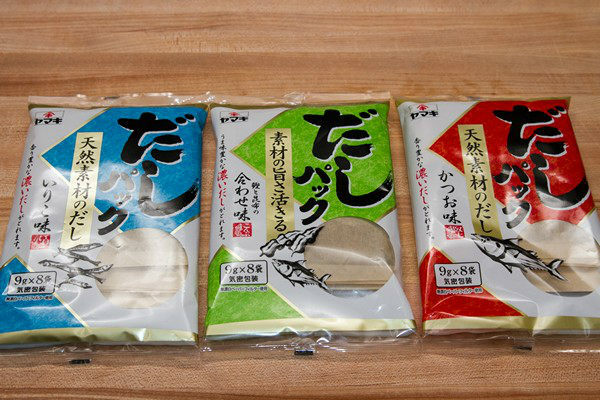 Most affordable compared to bonito flakes and kombu. 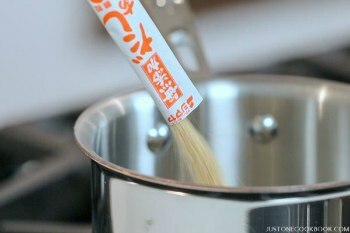 Most commonly used for making miso soup. I also use iriko dashi when I want a nice savory stock to go with other strong distinct flavors or seasoning like soy sauce. I don’t use iriko dashi to cook fish dish because it could taste too fishy overall. Simmered dishes (Simmered Kabocha), etc. 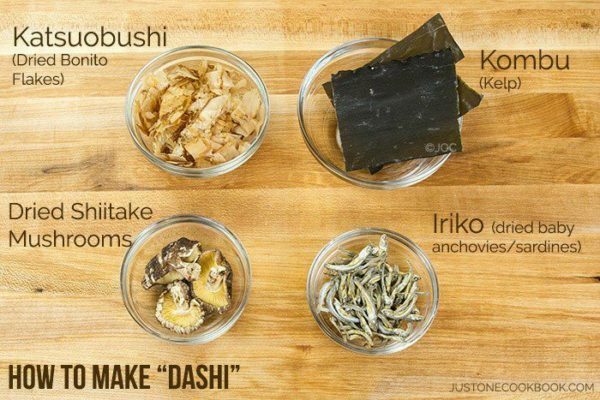 RECIPE: To make it from scratch, check out How To Make Iriko Dashi. The vegetarian stock made from rehydrating dried shiitake mushrooms. Rehydrated shiitake is used for cooking. The soaking liquid (shiitake dashi) is rarely used as its own and usually combined with other kinds of dashi to enhance the flavor (add umami). 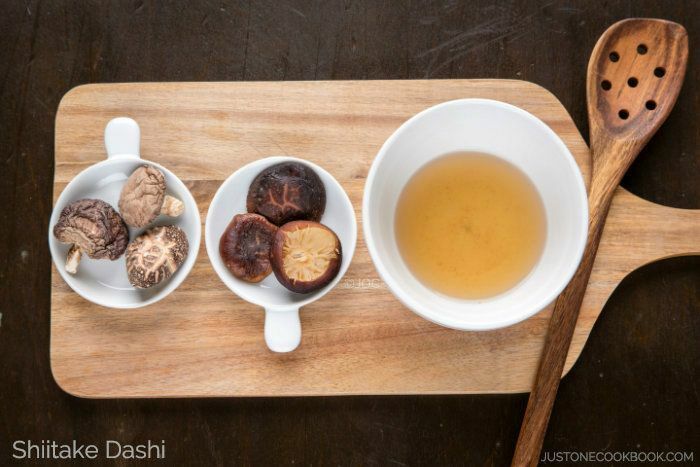 RECIPE: To make it from scratch, check out How To Make Shiitake Dashi. 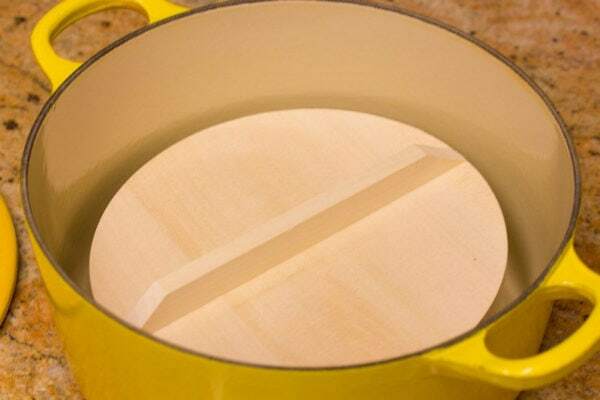 This is the most convenient method which produces pretty flavorful dashi. One drawback is that these dashi packets might be hard to find in Asian grocery stores. Your local Japanese grocery stores should carry one or several brands. 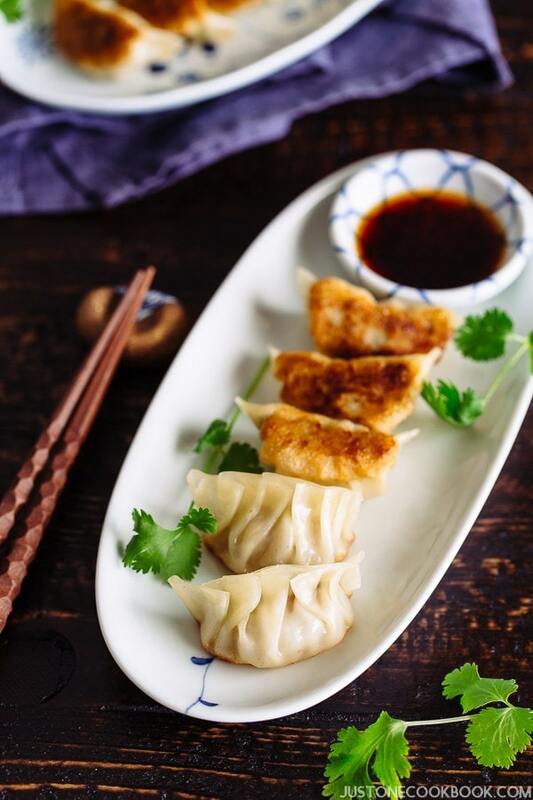 RECIPE (How To Use Dashi Packet): Please see the recipe below. If all you need is dashi that’s for one bowl of miso soup, instant dashi powder can be very convenient and save a lot of your time. 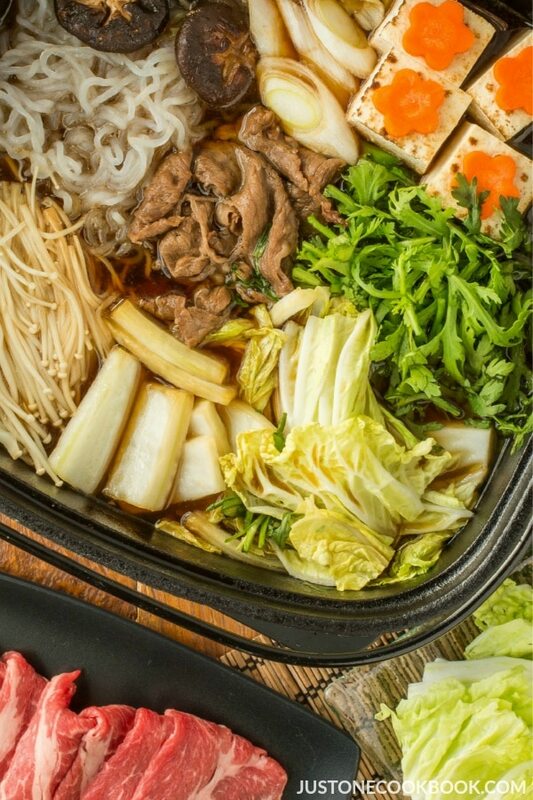 A few of the most commonly known brands are Hondashi (ほんだし) or Dashinomoto (だしの素), which you can find in Asian grocery stores. However, I strongly recommend MSG-free Dashi Powder available at Japanese grocery stores or Amazon. In Japanese, No-MSG is written as 無添加 (mu-ten-ka) and 天然素材 (ten-nen-sozai). RECIPE (How To Use Dashi Powder): Please see the recipe below. There are several types of dashi and I'll introduce them here. How do we decide which kind of dashi to use for a particular dish? Well, there is no rule. Each household may have preference, but I added some examples of dishes that go well with each type of dashi. 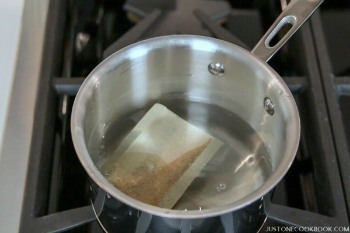 In a medium saucepan, add water and dashi packet (some brand may ask you to add the packet after boiling). Start cooking covered over medium heat. After boiling, reduce to medium-low heat and simmer for 5 minutes. Shake the bag a few times to get more flavors out of the bag. Discard the packet and dashi is ready to use. Bring water to a boil, and stir in the dashi powder. Turn off the heat and dashi is ready to use. You can keep dashi (made from scratch or made with dashi packet) in the refrigerator for up to 3-7 days. If you use dashi powder, use it immediately. I don't recommend to freeze dashi made with dashi packet or dashi powder. Water: Use 2 cups of water for rich dashi and 3 cups for regular use.